For sealing and filling of gaps and cracks where movement can occur such as perimeter sealing between wooden and metal window and door frames and connection joints between concrete, brickwork, window sills. 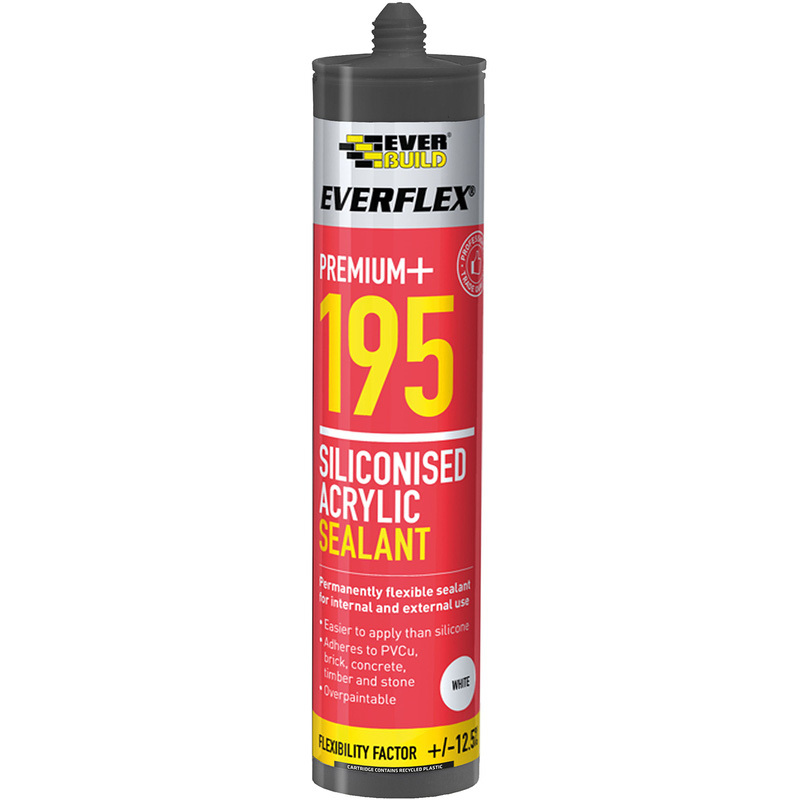 Siliconised Acrylic Sealant 300ml White is rated 3.3 out of 5 by 3. Rated 2 out of 5 by Wad1 from Not good Yes this is easy to tool and wipe away excess compared to really thick and sticky solvent seals but it just will not go off properly after two weeks of applying outdoors in mild weather two. It will probably have to be re applied with some other product which is better a I can't trust this seal again, maybe it was a bad batch but I bought three tubes so they all seem the same. I applied some into thick strip onto wood to test it after I noticed it wasn't good on my job I did the week before and after rain on it directly for a week or so it just was sort of emulsified gooey gunk like marshmallows! Rated 5 out of 5 by CAJoss from Sealant More flexible than normal water based sealant. Rated 3 out of 5 by JB10 from Remains soft and maleable for some time Found this takes a long time to go off, remaining soft and workable (almost a bit too long).